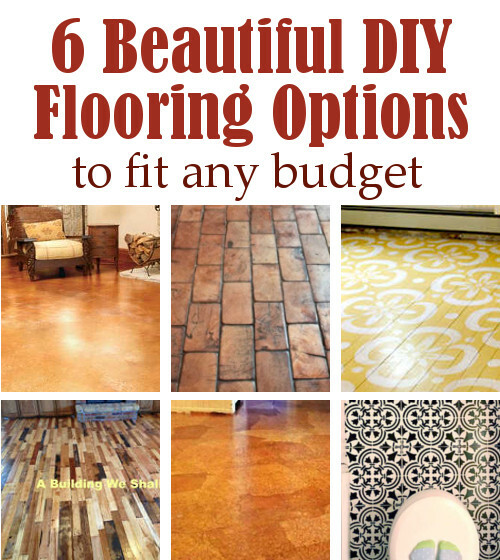 6 Beautiful DIY Flooring Options - While flooring can be time consuming, most options are not that difficult to diy and can save you a fortune when compared to hiring a specialist. Also be sure to check out my post on how to install traditional hardwood flooring. 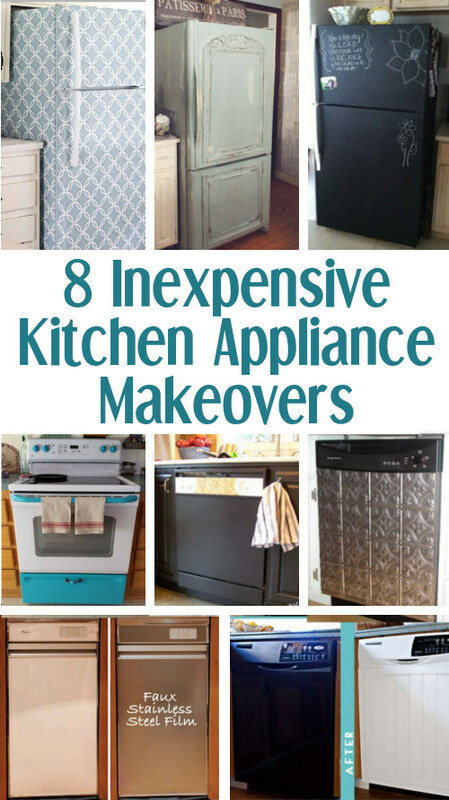 8 inexpensive Kitchen Appliance Makeovers - If you're not happy with your current kitchen appliances but you can't afford new ones, then this post is for you. 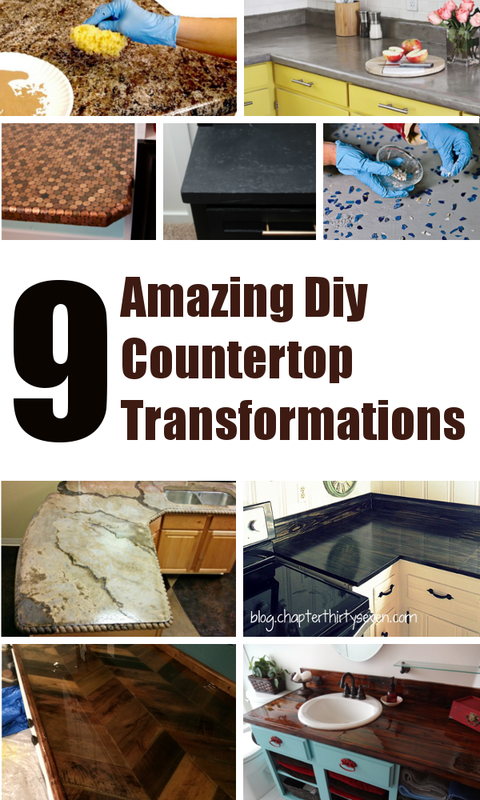 9 Amazing DIY Kitchen Countertop Ideas - Holy cow! Counter tops can be expensive! If new marble or granite countertops are out of your budget, try these less expensive options instead. 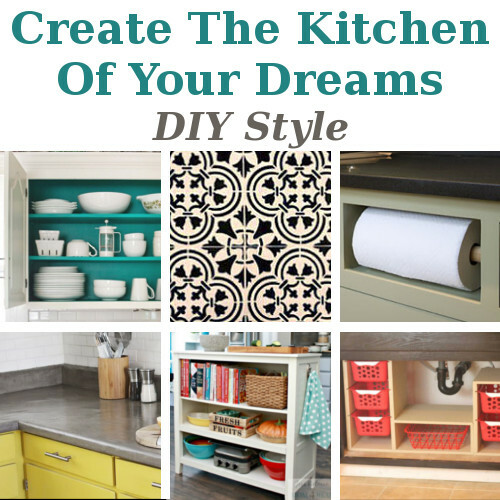 4 Amazing DIY Kitchen Island Ideas - We could all use more countertop space in our kitchen. 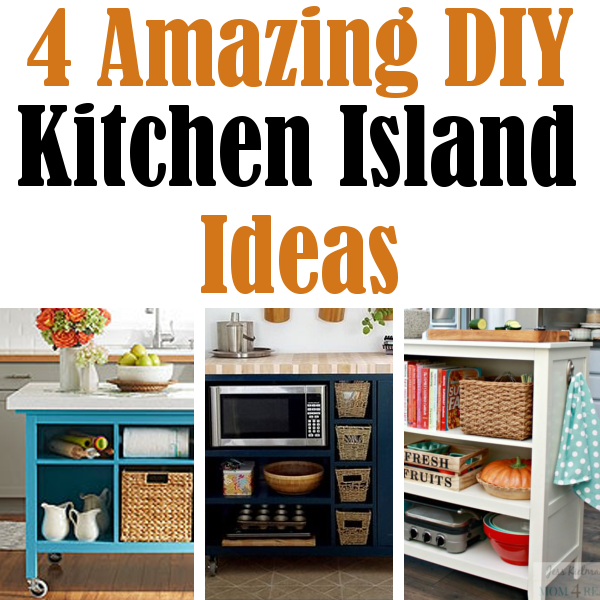 If you have room for an island here are 4 great ideas to make your own. 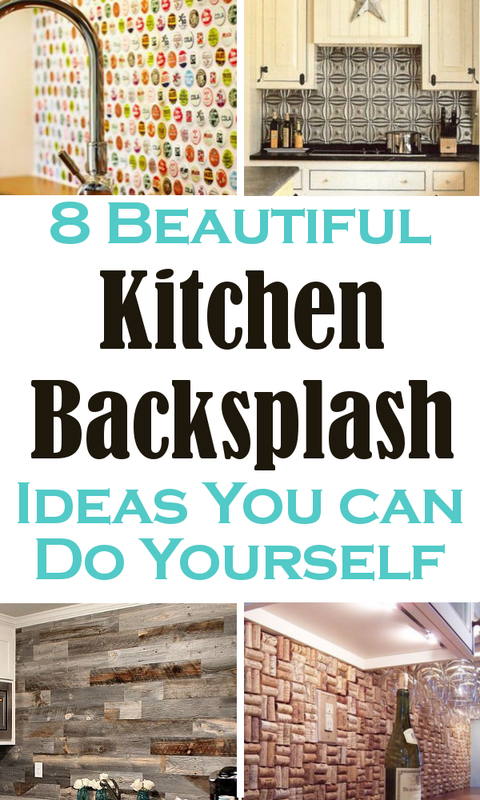 8 Beautiful Kitchen Backsplash Ideas You Can Do Yourself - Looking for something unique to add to your kitchen? Check out these fun diy backsplash ideas. 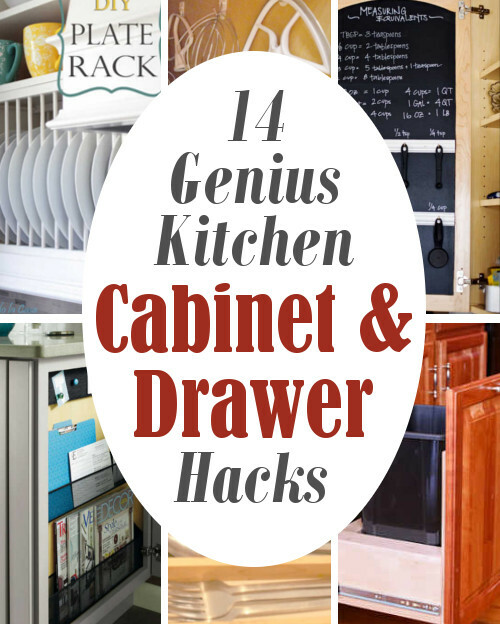 14 Genius Kitchen Cabinet & Drawer Hacks - Make the most out of every nook and cranny to maximize storage space. 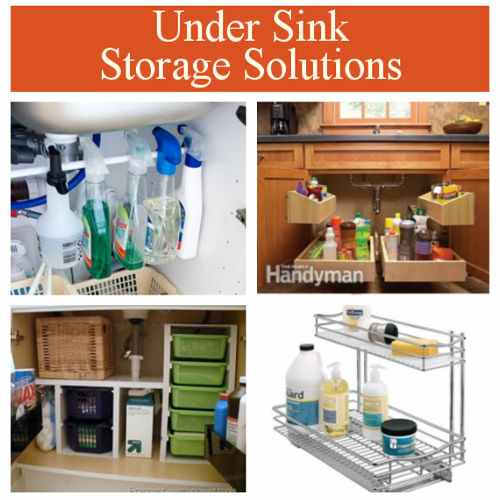 Under Sink Storage Solutions - This is one of the first posts I've ever shared on this blog and it is still one of my most popular. 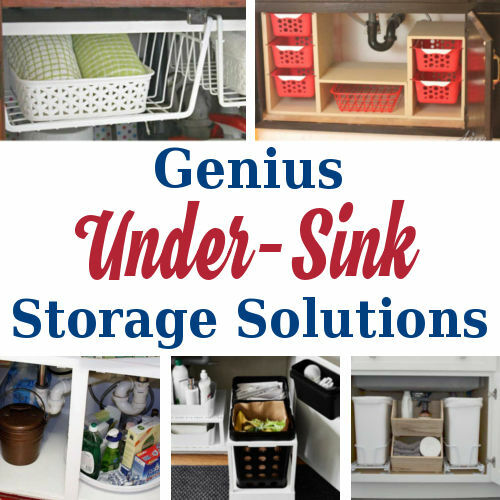 More Under Sink Storage Solution - Because you can never have to many organizing ideas. 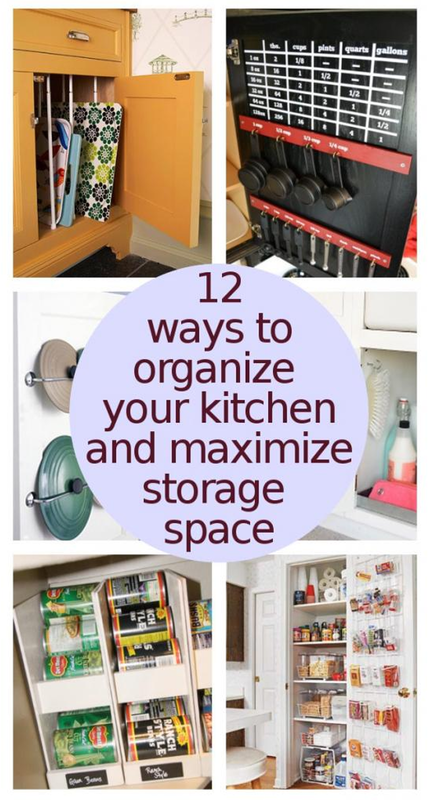 Organize Your Kitchen To Maximize Storage Space - An organized kitchen not only runs smoothly but it can really be a life saver. Being able to find what you need and knowing what you are running low on can save you time and money. 20 Ways To Make Your Kitchen Look Amazing - When remodeling a room it is easy to get carried away with the bigger projects but don't neglect the little things. 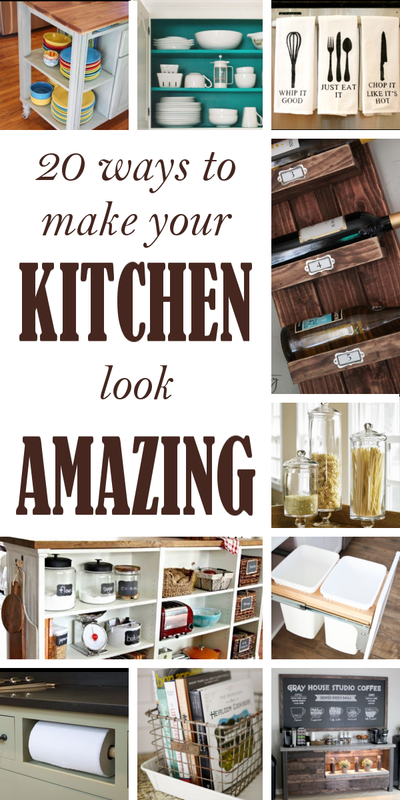 These simple touches will transform your kitchen from "nice" to GORGEOUS!! 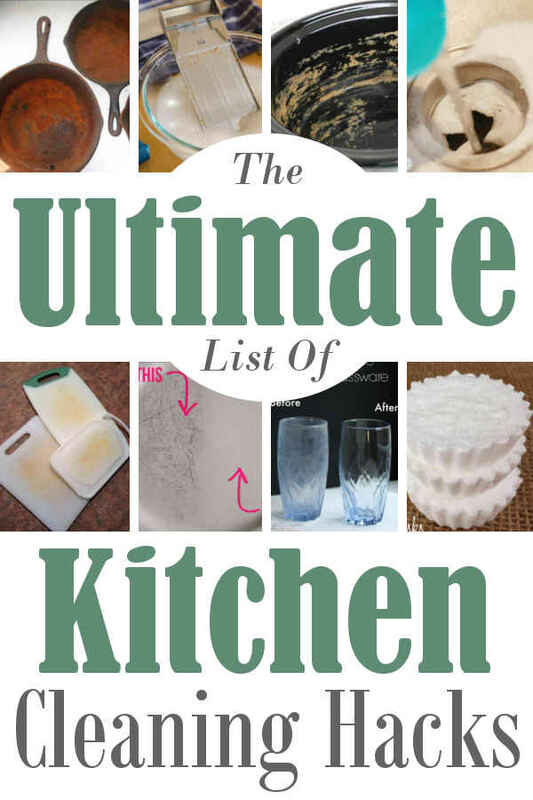 The Ultimate List Of Kitchen Cleaning Hacks - Once your dream kitchen is complete use these hacks to keep it looking clean and beautiful at all times.